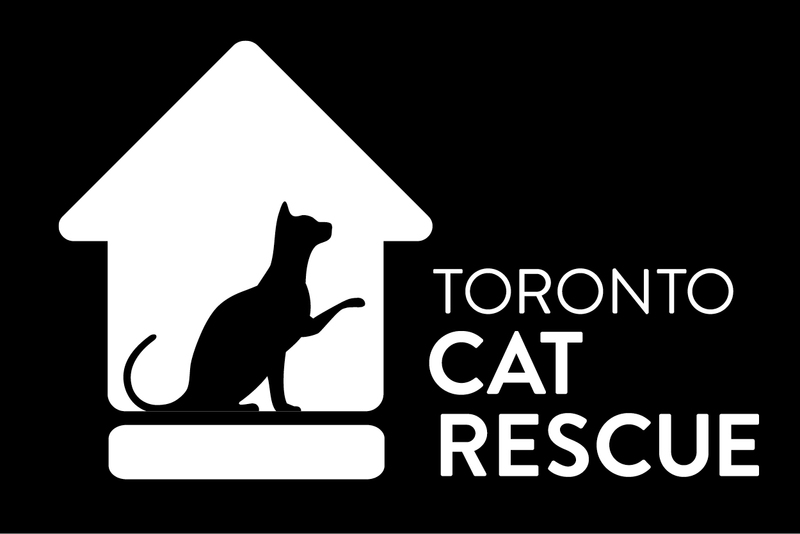 Toronto Cat Rescue is currently responding to a very sad hoarding situation. Over one hundred cats have been found in one home, and all the cats must be removed immediately. The situation is dire, so TCR was contacted to help. We acted immediately over the weekend, and brought almost fifty cats into our care! While the cats were in transit they were definitely scared and did not understand what was going on. Imagine how disorienting it must be to live with so many felines, only to find yourself inside a cat carrier, and then placed into a new home? Only 24 hours after arriving in foster care, our foster families are reporting that even though the cats are still shy they are beginning to trust and seek out (and give!) affection – this is such inspiring news. As you can imagine, with large rescues like this one, come large vet bills. We know that every single one of these cats will need to be spayed/neutered, dewormed and vaccinated. Some of these costs will be covered, but not all of them. And we have two pregnant mother cats (and their babies) who will all need care as well. Are you help by donating today? Any help you can give to aid this rescue would be incredible. A donation of $30, $50, $125 or whatever you can spare will allow us to keep giving the care these cats need. Are you able to open your home and heart to foster a feline in need? We would love to hear from you! Please fill in our foster application today. Together we are making a huge difference to the lives of cats! Thank you for all your support! Update: Thank you for reaching out with offers to adopt one (or more!) of these sweet cats – you have kept our Adoption Team hopping! These darlings will be available for adoption after they have been spay/neutered, vaccinated, dewormed (and any other treatment they may need), and our foster families learn more about their personality. If all goes well they will start appearing on our Adoptable Cats page in two weeks or so, BUT there are lots of cats ready for adoption now, if you can’t wait… they need you too!